Dr. Phillip M Gendelman, MD is a Doctor primarily located in Burlington, MA. He has 40 years of experience. His specialties include Ophthalmology. He speaks English. Dr. Gendelman has received 2 awards. The overall average patient rating of Dr. Phillip M Gendelman is Great. Dr. Phillip M Gendelman has been rated by 19 patients. From those 19 patients 6 of those left a comment along with their rating. The overall rating for Dr. Phillip M Gendelman is 4.3 of 5.0 stars. He listens and "hears" what you say and doesn't ignore anything and will help out with finding you what you need to do if it's not within his realm. About 12 years ago I was injured at work when a piece of corrigated box hit my eye. My then job sent me to a local hospital and a doctor, who were unable to fix the problem. Someone knew about Dr. Gendelman and recommended him. I walked in without an appointment. He saw me with no problem in the evening. He repaired the extensive damage to my cornea. His clinic was filled with patients and it turns out he regularly sees patients in the evenings. My eye injury was completely fixed and I've never had any issues with it since. Dr. Gendelman was not at all interested in my eye health. He was quite preoccupied talking into a tape recorder and dictating to an assistant, for whom he also had to spell several words. He had his back to me throughout almost the entire appointment as he was busy training his employee on the office computer system. And this after I waited almost 2 hours to see him. Unbelievably arrogant, rude, an unhelpful. Will never return. I have been coming to this office for 7 years and I will NEVER return. I have never been treated so poorly by a doctor and his staff in my life. I recently went in for an emergency visit for conjunctivitis in one of my eyes. I waited for 2 hours and was never seen by the doctor. I should mention that while I was sitting in the room waiting for Dr. Philip Gendelman, he was spending time laughing and joking with his staff for a good 5-10 minutes! He had no consideration for the patients that had been waiting for hours to see him. It got to a point where I could not wait any longer because I had to pick up my kids from school so I left. The office called me shortly after I left and asked if I could come in the following day. I was not able to take the appointment they offered due to a prior commitment. I called the office 2 days later because my eye had gotten much, much worse and had spread to the other eye. I left a message with the answering service because the office wasn't open yet and the doctor never called me back. I called again when the office was open and the receptionist told me that the doctor said that he could see me in 4 days. I told her that there was no way that I could wait 4 days and that my eyes were in really bad shape and she told me that my other option is to go to Mass Eye and Ear. An hour later I called back to see if there was a different doctor that I could see. Again, they refused to give me an emergency appointment and I was told that since they already offered me 2 emergency appointments (one of which I waited for 2 hours and never saw a doctor and the other appointment I didn't take), they would not give me another emergency appointment. Dr Gendelman thinks that he can treat his patients poorly because there is a shortage of doctors in Massachusetts but he is mistaken. I have already found a new doctor at Lexington Eye Associates who scheduled me in for an emergency visit immediately. The staff at Lexington Eye is far more professional! They know how to treat their patients. Do yourself a favor and DO NOT become a patient of Burlington Eye Associates. Take a minute to learn about Dr. Phillip M Gendelman, MD - Ophthalmology in Burlington, MA, in this video. Dr. Phillip M Gendelman is similar to the following 4 Doctors near Burlington, MA. 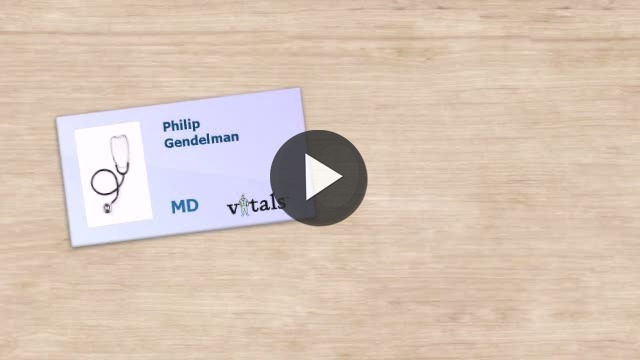 Have you had a recent visit with Dr. Phillip M Gendelman? Select a star to let us know how it was.